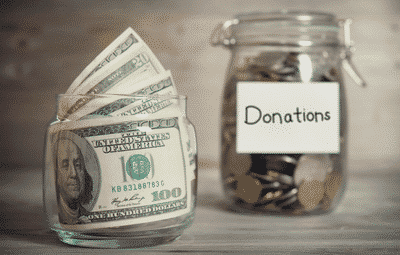 In a move to protect donor privacy and ease reporting burdens, the Treasury Department and the IRS announced on July 16 that certain nonprofit organizations no longer have to report personally-identifiable donor information as part of their annual returns. The new policy states that tax-exempt groups described by section 501(c)—other than 501(c)(3) groups or political groups under section 527—are no longer required to report the names and addresses of their contributors on Schedule B of their Forms 990 or 990-EZ. They must, however, still collect this information and keep it in their records. The decision was made after the Treasury and the IRS concluded that the data in question was not needed to administer or enforce the tax code. There was also concern regarding accidental disclosure or misuse of confidential information that could jeopardize donor privacy, as well as the stress put on IRS resources to redact donor names and addresses before making Schedule B filings public (an action required by federal law). The new guidelines will help relieve the unnecessary burden on this reporting and better protect sensitive taxpayer information. Note that 501(c)(3) organizations and political groups under section 527 are not affected by the new guideline and must still include this information on Schedule B. Additionally, all organizations’ Form 990 and Schedule B information that was previously open to public inspection will continue to be reported and open to inspection. This change is effective beginning with taxable years ending on or before December 31, 2018. Be sure to discuss this change with your CPA to make sure your nonprofit qualifies for the new guidelines.